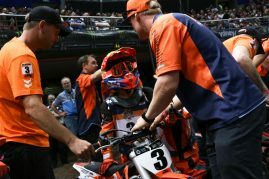 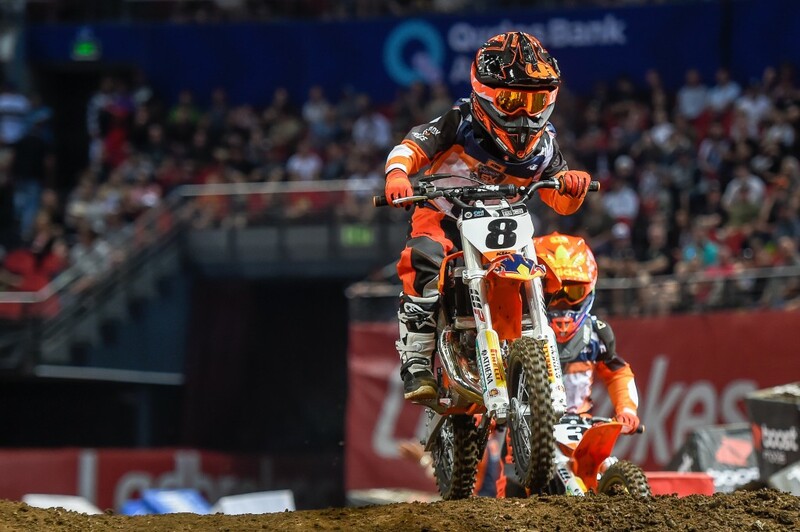 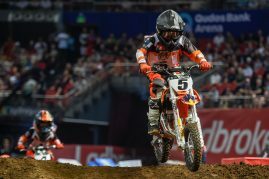 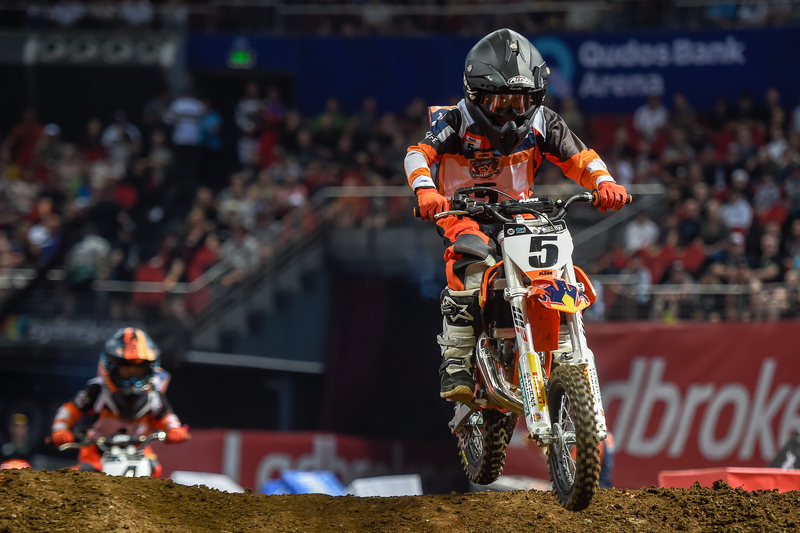 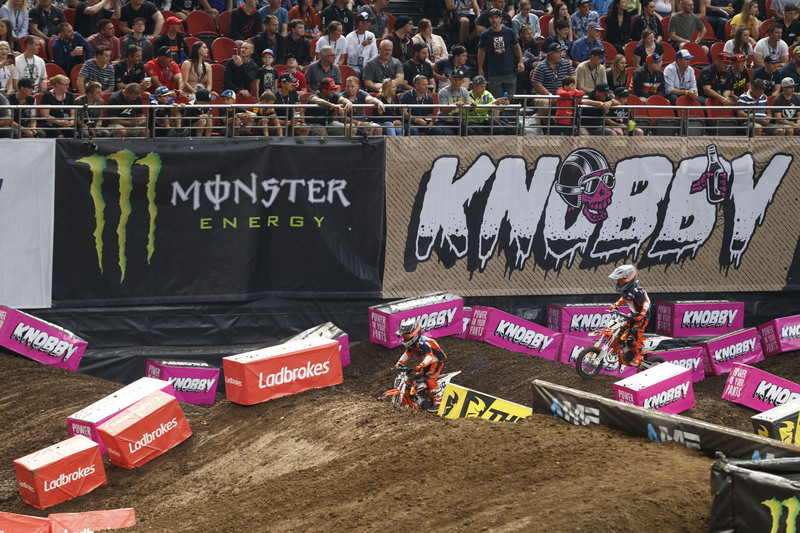 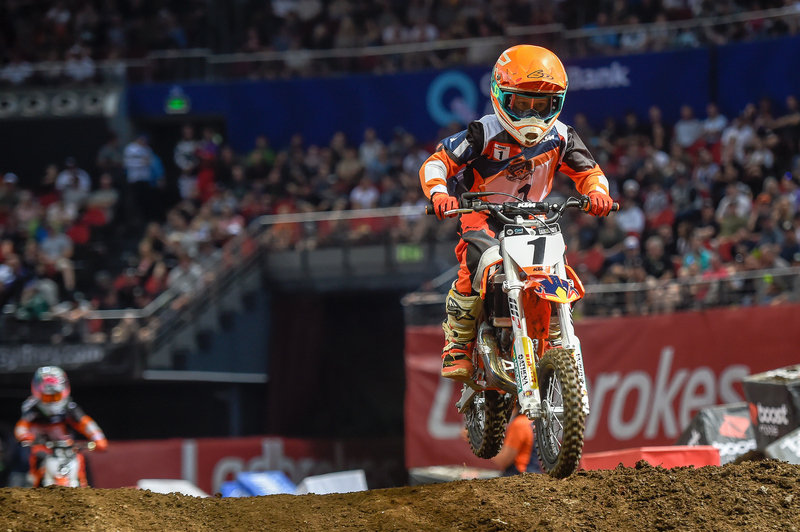 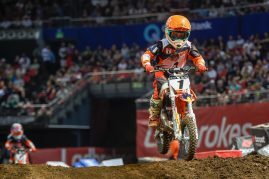 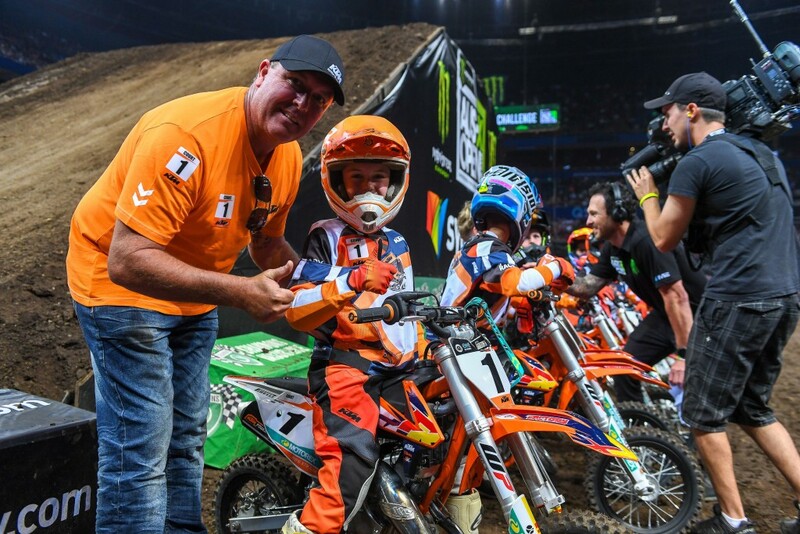 10 YOUNG RIDERS AND THEIR CHOSEN MECHANIC EXPERIENCE THE THRILLS OF SUPERCROSS AT THE QUDOS BANK ARENA. 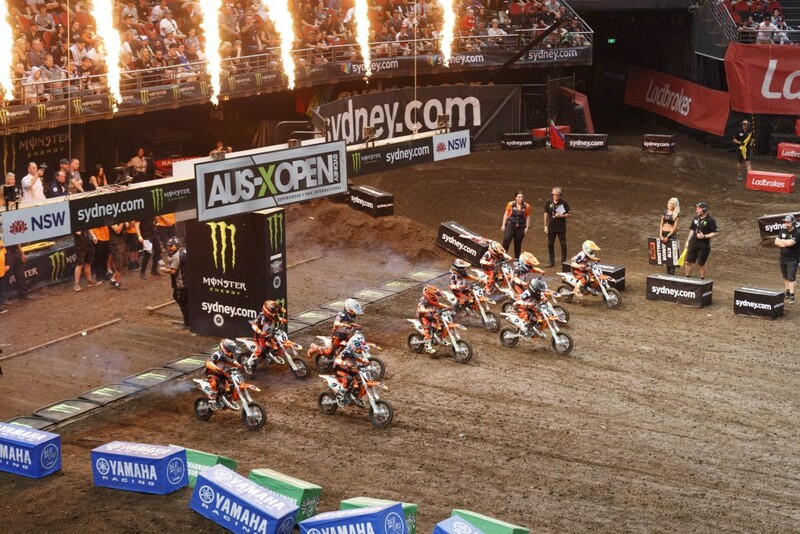 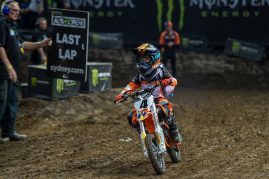 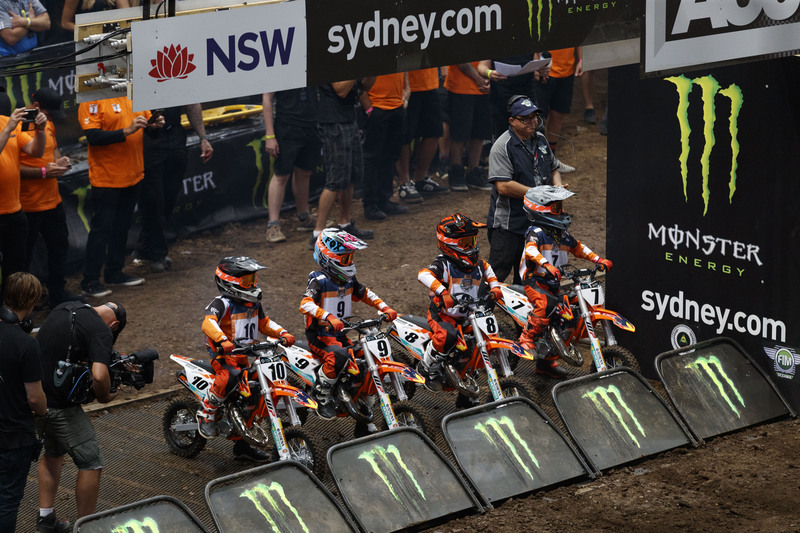 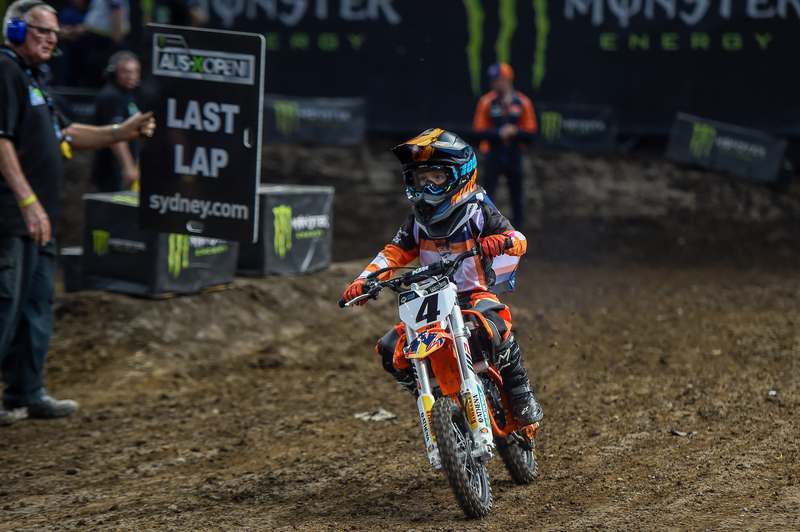 The curtains have closed on the 2018 KTM Junior Supercross Challenge (KJSC) at the Qudos Bank Arena, Sydney. 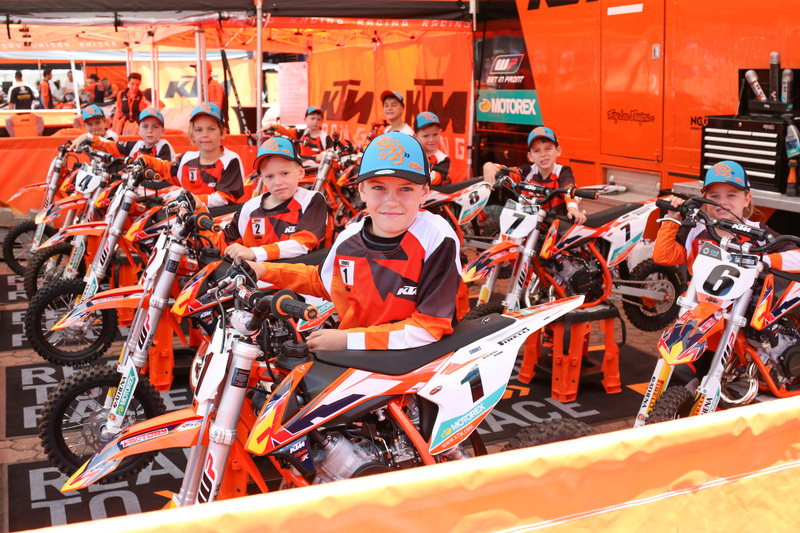 In conjunction with the prestigious AUS-X Open Supercross, KTM Australia and the KJSC staff were proud to welcome 10 aspiring young riders to the biggest Supercross event in Australia. Riders and their nominated mechanics were treated to a day in the life experience of a professional Supercross team where they were treated to an action-packed day including photoshoots, track walks, autograph signing sessions all at the KJSC pit area located in the paddock amongst the rest of the Factory riders and their team’s. 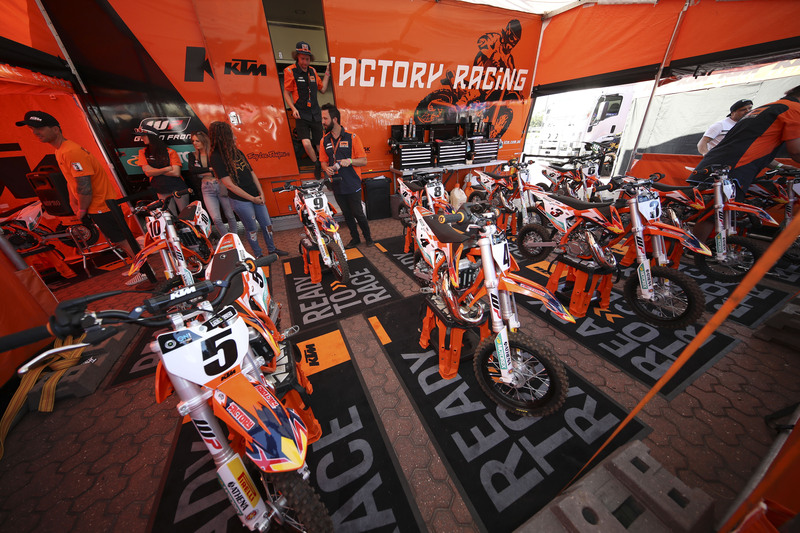 Riders were also introduced to their KTM 50 SX bikes and KTM Techs that had prepared them in-house, at the KTM Factory Racing workshop where they were retrofitted with a suite of KTM Powerparts. 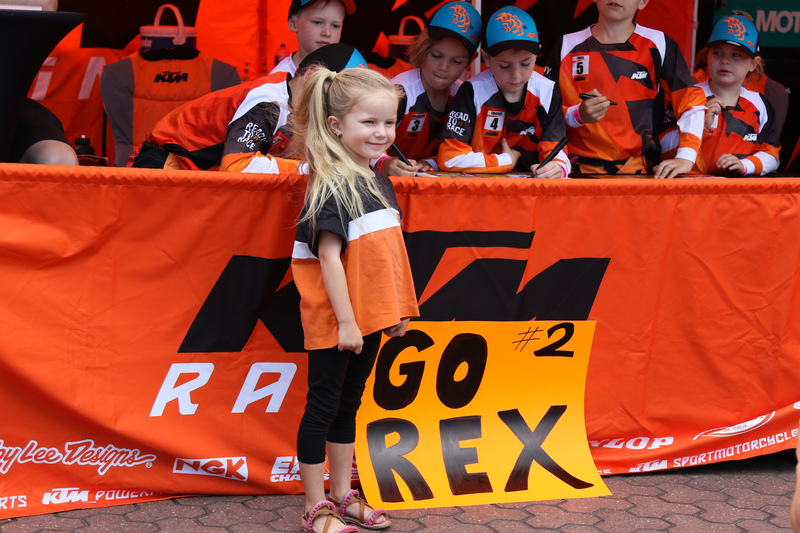 Riders personally signed 200 individual posters next to KTM Motocross Team rider Kirk Gibbs and greeted fans and their families before they took to the arena dressed in their KTM Powerwear riding gear. 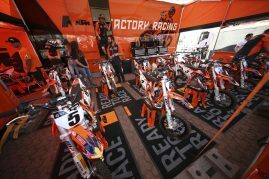 They then took part in a practice session and an exhibition event in front of a packed out crowd. 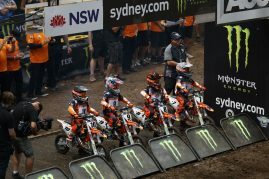 Fans roared as the KTM riders walked out of the tunnel onto the arena floor with their mechanics and their KTM 50 SX bikes in hand. 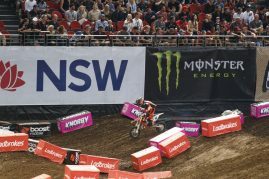 Much to the delight and the excitement of the crowd, the riders all put on a fantastic show navigating the Supercross track with precision. 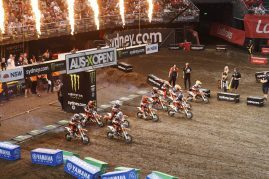 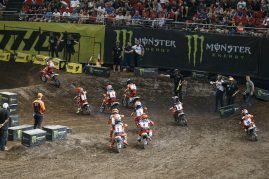 Not only were in-house Supercross enthusiasts treated to a thrilling show but the main event was also streamed on live tv exclusively to Fox Sports. 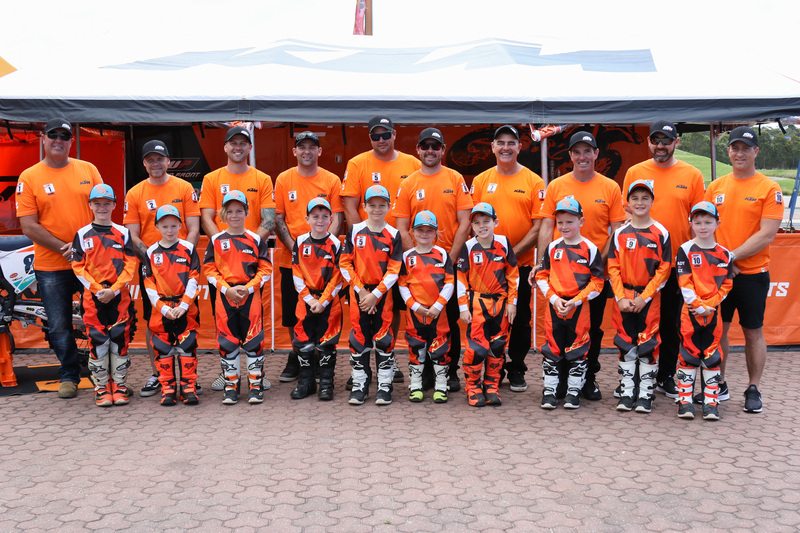 Once back at the KJSC pits, riders were congratulated and awarded for the hard work throughout their first day as professional Supercross riders. 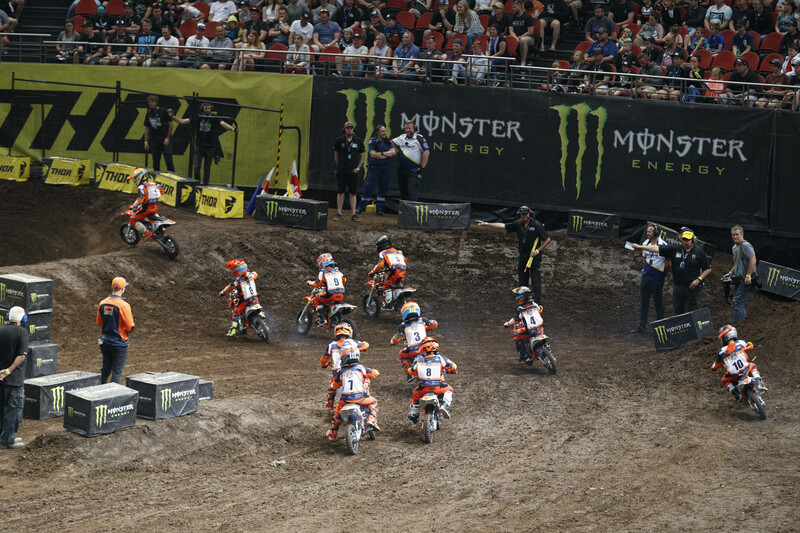 They then got changed and their KTM Race Teamwear headed into the stadium where they were able to watch their heroes on track for the remainder of the show. 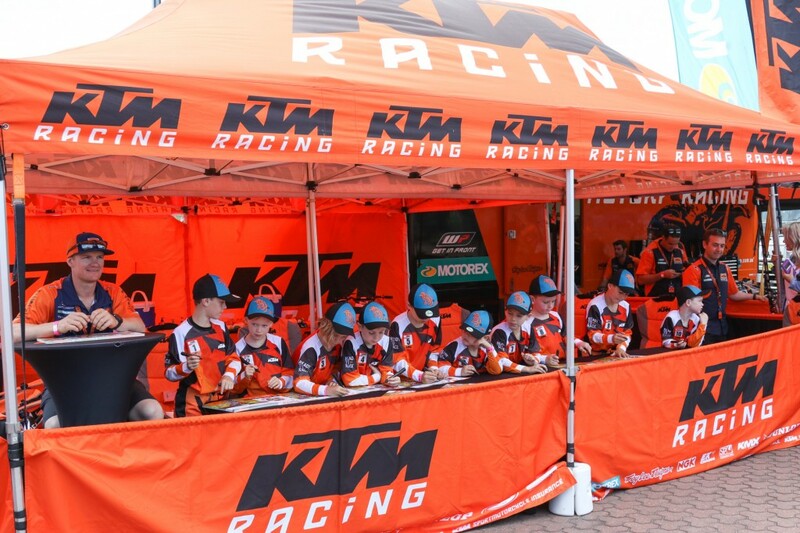 Looking around the KJSC pits at the smiles and excitement between the families and their riders it was clear to say that a fantastic day was had by all and one they most certainly will remember for the rest of there lives. For the KTM staff, it was a pleasure to host the riders of the 2018 Aus-X Open KJSC and we want to send out a huge congratulations to everyone who took part and we can’t wait to do it all again in 2019. 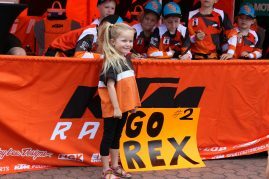 See below for more images of these very talented young riders and their families day at the KJSC.